LaVon Luhring, age 91, of Evansville, IN, passed peacefully at home with her granddaughter on Thursday, April 11, 2019. LaVon was born November 10, 1927, in Henderson, KY, to Verlis and Geneva (Grissom) Ringham. She graduated from Central High School and Deaconess School of Nursing. 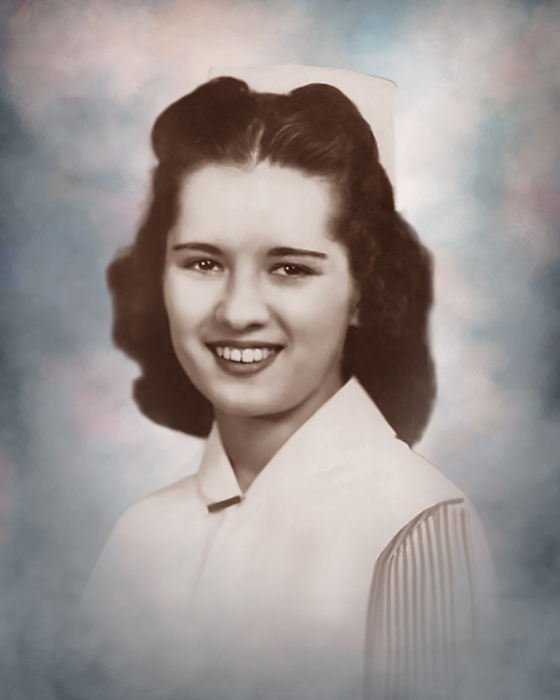 LaVon was a registered nurse with Deaconess Hospital for 40 years in obstetrics and pre-admissions. She also volunteered with Deaconess Auxillary. LaVon was a member of Walnut Grove Primitive Baptist Church and F.O.P. Auxillary #73. In her younger years, one of LaVon’s favorite activities was going out dancing. She was an avid reader who enjoyed mystery novels. She loved and found comfort in her precious cat, Inky. LaVon is survived by her granddaughter, Jessica Shockley (Jason Fildes) and great granddaughter Violet May; former son in law, Dan Beyl; sister in law, June Althaus; and many extended family members. She is preceded in death by her parents; beloved husband of 50 years, Charles Luhring; daughter, Nancy Jayne Beyl; her precious Schnauzer, Hannah. Funeral Services will be held at 1:00 p.m., Saturday, April 20, 2019 at Boone Funeral Home East Chapel – A Family Tradition Funeral Home, 5330 Washington Avenue with Reverend Veltri Taylor officiating. Burial will be in Oak Hill Cemetery. Friends may visit from 10:00 a.m. until 1:00 p.m., Saturday, April 20, 2019 at BOONE FUNERAL HOME EAST CHAPEL. Memorial Contributions may be made to: Vanderburgh County Humane Society at P.O. Box 6711, Evansville, IN 47719 or Gilda’s Club at 5740 Vogel Road, Evansville, IN 47715.